We held the third of five events in our new Vintage Motorcar Series on a beautiful Saturday, June 16, on our campus, raising money for our many programs to help children and families who have experienced trauma. It was a warm day for the hundreds of cars and spectators that came to our hilltop campus. This is the first year for the Series format. While previous years had just the one car show on the Saturday of Father’s Day weekend, the Series has five events throughout the year. The 2018 Motorcar Series got off to a great start with April’s event featuring Ford Model A’s and Klingberg’s volunteer mentoring program. 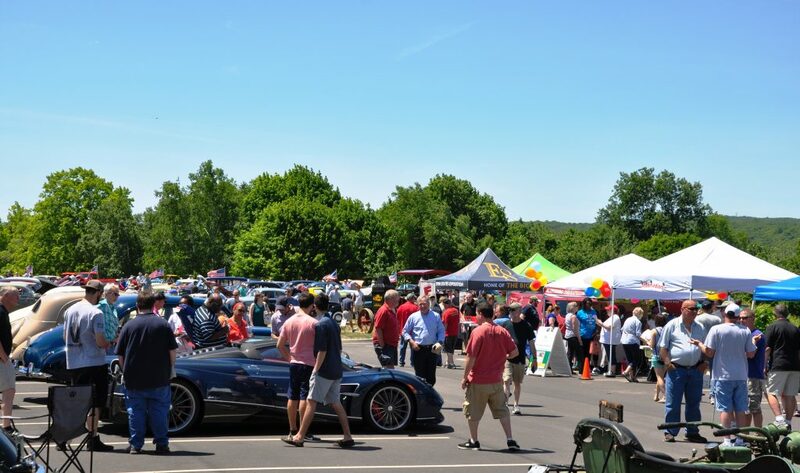 May’s event was rained out, but June made up for it with a gorgeous day for the brass cars and classics and a focus on foster care and services for children with autism. The Vintage Motorcar Series raises money for our twenty programs dedicated to helping families and children whose lives have been affected by trauma. Each show is highlighting a different program. The April event highlighted our mentorship program, and the June event highlighted our foster care program and Autism Families Connecticut, an organization that works with children on the autism spectrum. Two more events are yet to come. The next show will be on September 22nd and will highlight Klingberg’s community services along with a special display of station wagons and woodies and a Concorso of super cars. On October 27th, we will be highlighting the Raymond Hill School, with a display of antique trucks. All events also include a traditional car show of pre-1979 automobiles of all kinds. For more information on the Klingberg Vintage Motorcar Series, please visit https://klingbergmotorcarseries.org.